We aim to be as free and easy as possible on our rambles, and generally go at a steady pace so that everyone can enjoy the countryside. 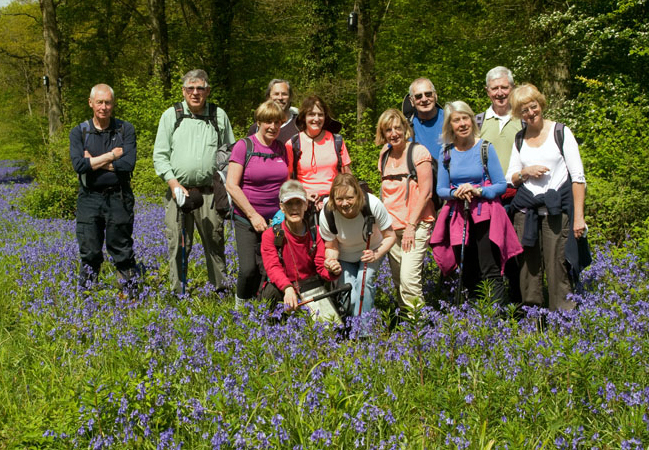 The usual number taking part in our walks is 15 to 25, although numbers can vary more widely. We have a leader and a back marker on all walks, so it helps if no-one gets in front of the leader, or behind the back marker! It is recommended that you bring a packed lunch and adequate drinks on rambles. Where a walk commences from private or commercial premises it must be confirmed that permission to use the car parking facilities has been given by the owners or operators of the premises.